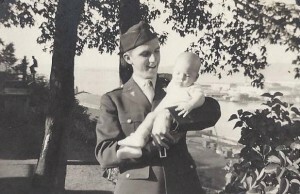 My father, Dr. Fox Miller III served on Guam in the US Army Medical Corps from 1944 to 1946. Dad really didn’t speak too much about his time on Guam where he received troops sent to his hospital with various medical problems. This picture shows Dad holding me in September 1944, when I was about 6 months old, at Fort Lewis, Washington just before he sailed on the SS Klipfontein for service in the Army Medical Corps attached to the 204th General Hospital at Guam, Western Pacific. His service was from 7 April 1944 to 22 July 1946. 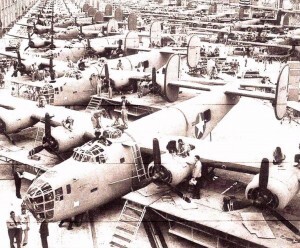 My mother, Mary Jane McInerney Miller who is still living at age 98, also contributed to the war effort, as a first-aid nurse at an aircraft manufacturing plant, building B-24′s and B-26′s. This picture shows a B-24 Bomber assembly line in Fort Worth, Texas in May 1943. In September 1949 my family moved from Dallas to Orangeburg, New York (just north of New York City) so that my father could attend Columbia University for his residency in dermatology. Before he began his training, he took the family for a visit to the Statue of Liberty. Dad’s first cousin, LT Gen. Harry W. O. Kinnard Jr. had a long and distinguished career in the Army beginning with his West Point graduation just before Pearl Harbor through WWII and Korea to the very important role he played in the development of helicopter warfare in Vietnam and as the Commanding General of the 1st Air Cavalry, especially during the Battle of Pleiku. If you Google “Nuts! Revisited” you will learn that he, as McAuliffe’s Asst Chief of Staff, was responsible for General McAuliffe’s answer of “NUTS” when the Germans asked the Americans to surrender during the Battle of the Bulge. I am very proud to have known and to have been related to both of these men. I joined the Naval Reserve in August 1964 and went to Boot Camp at Great Lakes in October 1964, OCS at Newport, RI in Oct 1967, commissioned an Ensign in March 1968, The group photo was taken on October 13, 1968 and shows us on board U.S.S. Vernon County (LST-1161) on the Mekong River near Vinh Long, South Vietnam with fellow officers Joe Clark, Ken Lauer, and Wayne McConnell. One memory that has stayed with me was when we were on one of our Mobile Riverine Force deployments and we went on a Rescue and Assistance mission to help a civilian tug named Kangaroo after she had been either mined or hit by a rocket. It was good that we were close by to provide the help they needed. This picture shows my ship the U.S.S. 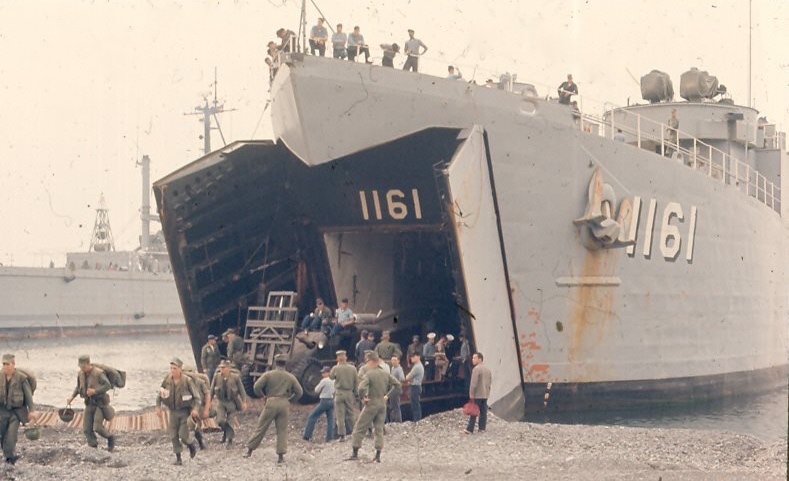 Vernon County (LST-1161) offloading troops and vehicles from Okinawa at the beach near Numazu on October 15, 1969. This is quite meaningful, at least for me, because it clearly illustrates the way in which this ship type help save the freedoms that we all enjoy today when the earlier LSTs played such a VERY CRITICAL role on the beaches of Normandy on June 6, 1944 as a part of Operation Overlord, and landed all the equipment and troops necessary for that successful invasion. 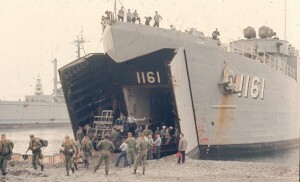 After DCA School I reported to my active duty ship – USS Vernon County (LST-1161) at Dong Tam, South Vietnam in June 1968, attached to the Mobile Riverine Force. 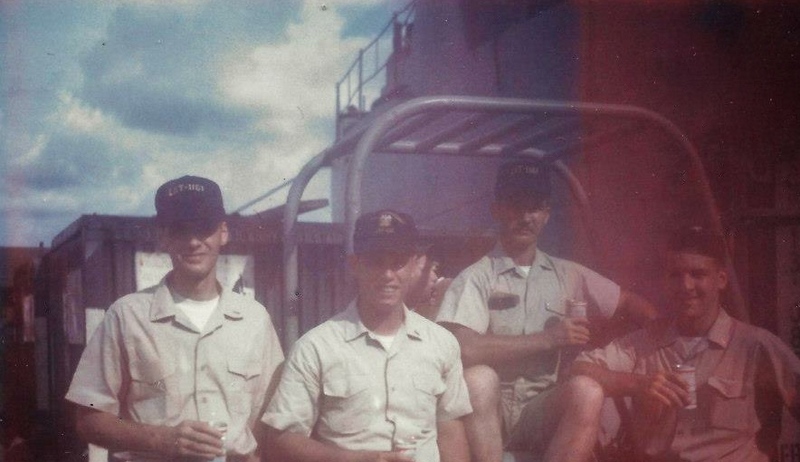 Since my ship was home ported at Yokosuka, Japan, we were in and out of South Vietnam and other SE Asia assignments between then and January 1971, when my wife and I sailed for home from Yokohama on the S.S. President Cleveland and release from active duty. 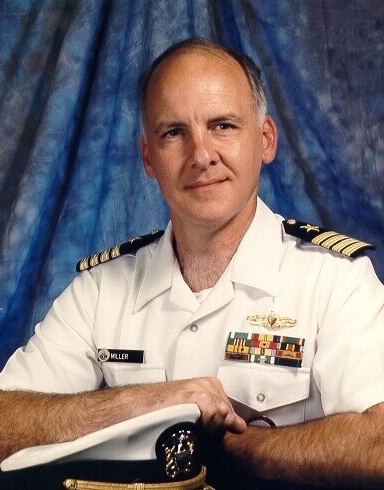 I remained in the Naval Reserve after active duty until my retirement at the rank of Captain (O-6) in September 1992. 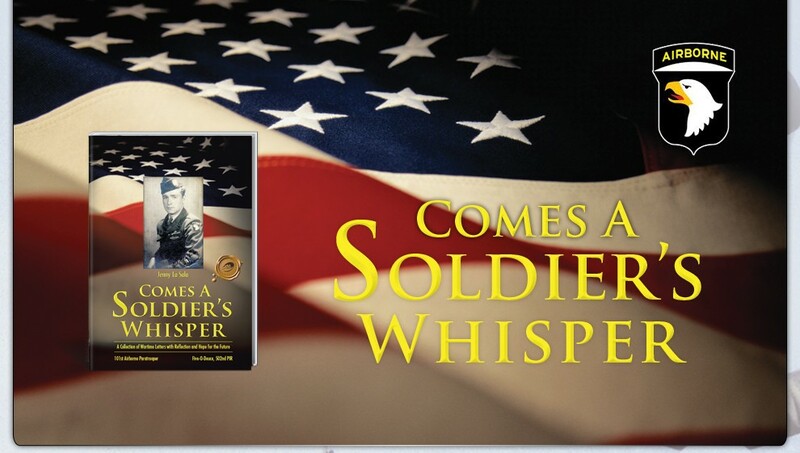 I think I had about 22 periods of 2-weeks active duty for training at the time of my retirement.